Despite a disastrous terrorist bomb incident on the subway and disruptive anti-fur protests, London’s recent spring ’18 Fashion Week carried on. Scores of designers displayed courage, talent and that expected British stiff upper lip. They were joined by high profile foreign stars, Tommy Hilfiger, Giorgio Armani and Donatella Versace. Local talent delivered well-received collections that were creative, highly individual and on-trend. A few themes were far-fetched (Christopher Kane’s kitchen/bathroom supplies and Erdem’s homage to the long-ago day when the Queen met Duke Ellington), but commercial salability scored with international buyers. Springtime color came on strong with an emphasis on pale palettes. Noteworthy transparent materials, including non-wovens and knits were widely used for every item possible, especially dresses and coats. Fringe was a swinging detail. Last season’s London collections focused on casual streetwear, but spring ’18 runways leaned towards eveningwear with shine and sparkle plus plenty of pretty prints aimed at young and trendy consumers. Soft shades from Roksanda, Christopher Kane and Emporio Armani. Transparencies by Burberry, Pringle and Top Shop. Fringe at Roksanda, Erdem and Roland Mouret. 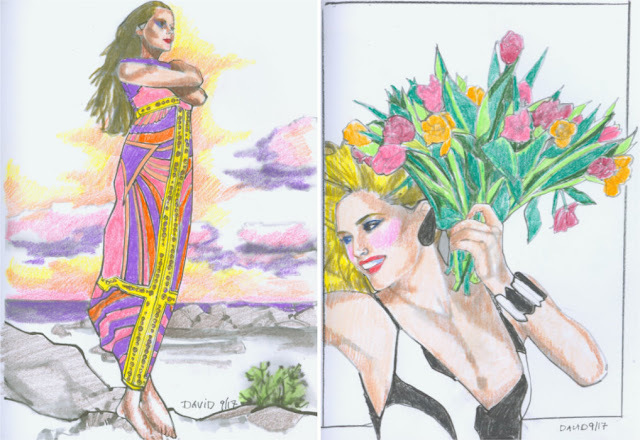 Even though I like vintage movie star coloring books, I keep my eye on the many, many new coloring books being printed to cash in on the current craze. 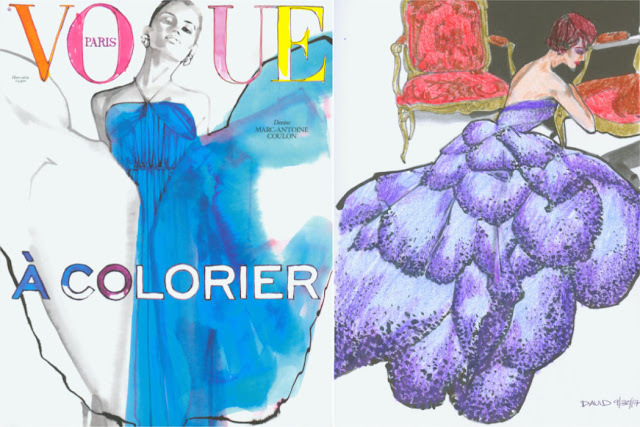 French Vogue magazine has produced an exceptional coloring book, “Vogue Paris A Colorier.” Artist Marc-Antoine Coulon has artfully reproduced a line-and-wash, 111 page book based on fashion photographs from French Vogue. The images range from 1949 to 2016. I found this collectible gem selling for $19.95 at a store that specializes in imported fashion magazines. French Vogue coloring book cover and colored page of 1949 Horst photo. Jean-Jacques Bugat and 1983 Bill King photos colored by David. Milan’s fashion profile has always been predicated on sophisticated luxury and easy elegance, sublime style and superb, subtle taste. However, the recent spring ’18 runway shows revealed a new mood in Milan, a total turn-about created to entrance the adventurous Millennial generation. Color-crazed palettes! A shower of sparkle! Shameless transparencies! Exaggerated shapes! Merry mash-up mixes! Collision replaced careful coordination. What caused such bold surprise elements? Easy answer: Gucci’s designer Alessandro Michele is the most copied vision in fashion today and his influence is clearly evidenced in many Milanese collections for spring ’18. Gucci sure to “inspire” copycat designers. Color-crazed at Versace, MSGM and Bottega Veneta. Coordination collisions by Prada, Marni and Stella Jean. In today’s world of casual style, it comes as somewhat of a surprise that fashion didn’t earlier start assimilating extreme activewear as inspiration for high style. Only a few examples predate the 1960s. Certainly, “athleisure” is a recent rage. The Museum at FIT is exploring the inspirational fashion influence of apparel originally made to enable explorers braving difficult elements. The exhibition, which closes January 6, is divided into themes including Arctic, Safari, Ocean, Mountain and Space arranged around a suggestion of a space ship soaring through the ceiling and a sky-high peak climbing up one wall. The most emphatic fashion elements focus on furs, down-filling and metallic materials. The curated examples encompass a diversified roster of designers from the past and present. 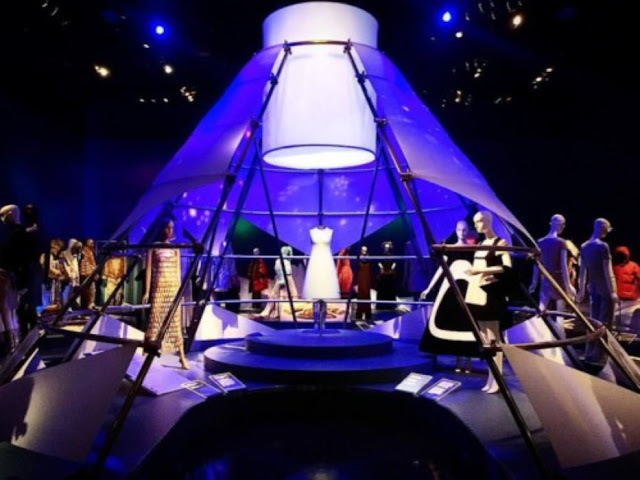 Although impressive, the exhibition might have been more explanatory if the fashion translations shared space with the original garments made to endure the extreme measures. There is a handsome book by Patricia Mears and Lacey Flint that accompanies the exhibition, available at amazon.com. Expedition gallery at FIT Museum. Chanel’s arctic furs, Phillip Plein’s metallic space suit, Andre Courreges’ sixties space age style. YLS’ safari tunic, Watanabe’s puffa coat, Chanel’s sequined scuba jacket. 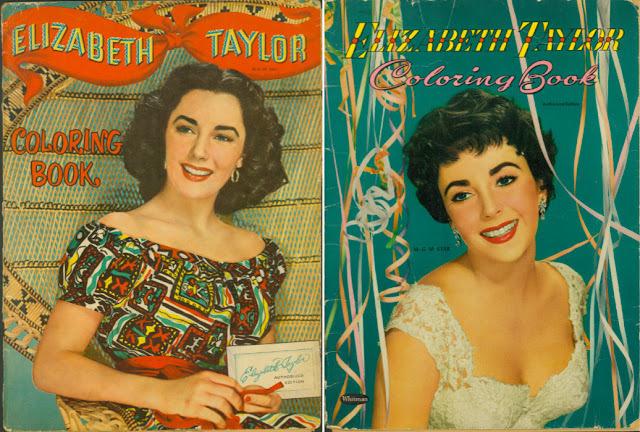 The next issue of Paper Doll Studio magazine is going to pay tribute to Elizabeth Taylor. She was the Hollywood star of stars, touted as the most beautiful woman in the world during the last half of the 20th century. 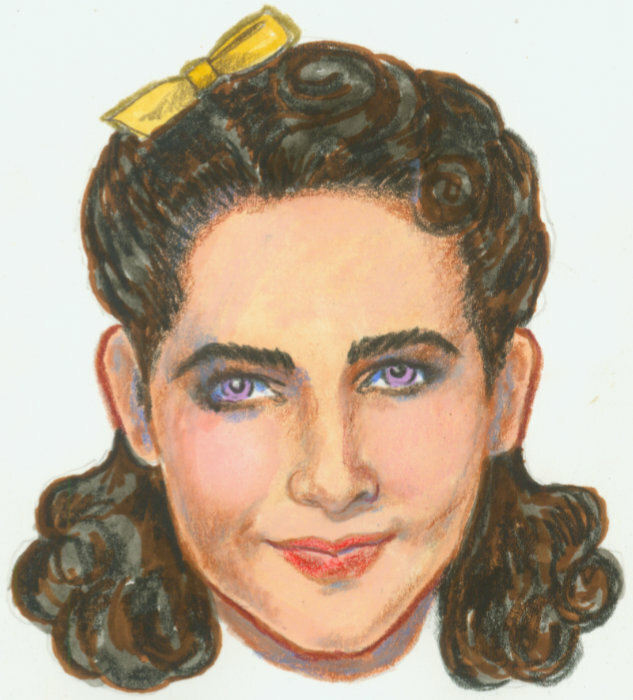 I’m writing a biographic article for the issue and to go with the bio, I have created a paper doll of young Liz when she starred in National Velvet. The issue will give OPDAG artists the opportunity to dress the Liz dress-a-doll I created for what is sure to be a very glamorous issue. If you aren’t yet a subscriber, visit paperdollreview.com for details. Elizabeth Taylor paper doll portrait by David. Vintage coloring books for young fans in 1950s and 1954. Paris packs a powerful punch! What fashion needs now is newness, daring and a fresh point of view. The Museum of Modern Art in Manhattan currently has a noteworthy exhibition that asks, “Is Fashion Modern?” The recent spring ’18 Paris runway shows answered with a resounding “Mais, Oui!” Gone are those elegant up-tight “jolie madames” in their impeccable Paris perfection. They used to call the shots and set the trends. They are being replaced by devil-may-care fashion consumers who know no boundaries, who dress-up-and-down in style that’s casual and sometimes crazy. Paris in the spring ’18 season dares to be different, to mix but never match. Stylists are the all-powerful influencers now. Design is often agonizingly over-designed, clever re-or-de constructions that break fussy old rules of hand-finished hems, darts and seams. Craftsmanship creates special effects that amount to an overload of embellishments including fringe, feathers and fol de rol. Metallic materials, sequins and jewels ramp-up the glamour. Paris is surprisingly color-drenched, mad for plastic, shameless transparent and ready to party until the break of dawn. Fashion plays out theatrically, as in the case of Saint Laurent’s runway that commandeered the Eiffel Tower as a background, or Chanel’s reconstruction of the scenic Gorge du Verdon with mountainous greenery and cascading waterfalls. The Thom Browne tribute to the “Little Mermaid” was a giddy bit of madness ending with a life-size unicorn puppet. Analysts, pundits and retail buyers are convinced that fashion-for-the-fun-of-it is a means of escape from fearful times. Saint Laurent, Chanel, Thom Browne. Christian Dior, Celine, Dries Van Noten.